Geoff Lawton is an internationally renowned as a permaculture educator, consultant and practitioner since 1985. Geoff has designed and implemented permaculture projects in 30 countries for private individuals and groups, communities, governments, aid organizations, & multinational corporations. The Permaculture Design Certificate course and the Permaculture Research Institute supports the establishments of Permaculture Master Plan as demonstration education centers that network throughout. 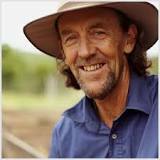 Geoff Lawton emigrated from England to Australia and studied permaculture with Bill Mollison in Tasmania and established the Permaculture Research Institute at Tagari Farm in New South Wales, Australia, a 147 acre farmstead previously developed by Bill Mollison.